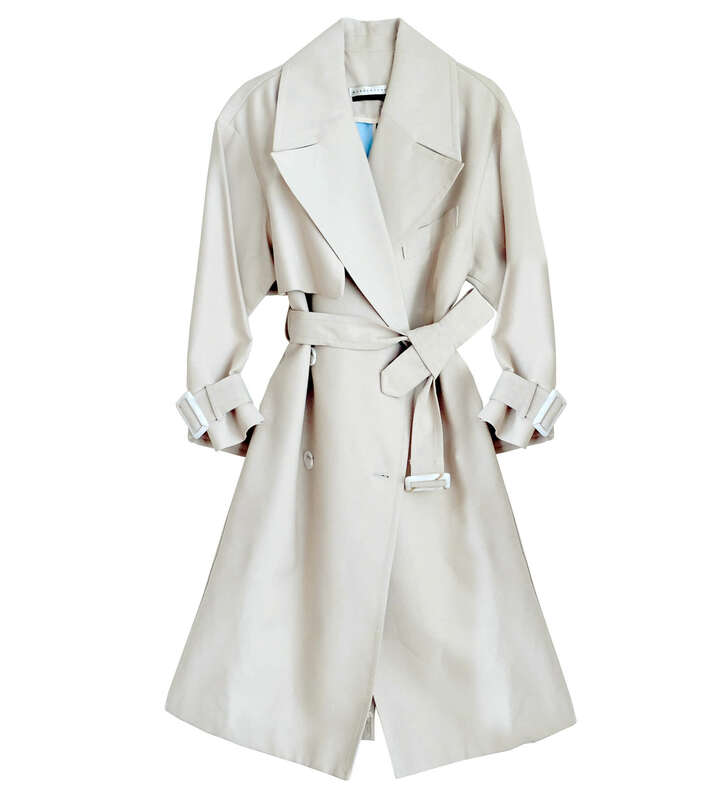 Available in a beige tone, this spring coat will take you from Autumn to Spring with its light weight fabric, perfect for layering. It features a four-button fastening, a removable clinched waist belt and loop sleeves. Wonderound in London, United Kingdom.